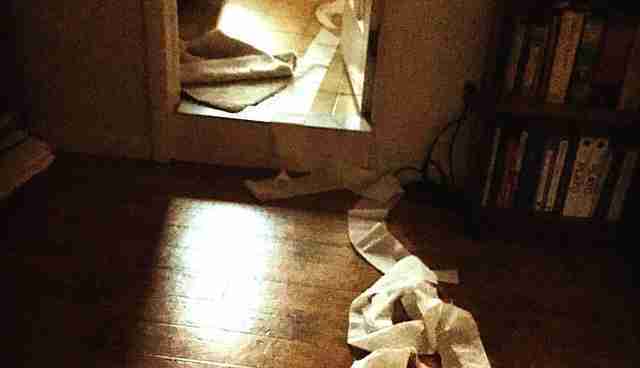 Why Are Cats Obsessed With Toilet Paper? We call it her "sculpture art." This only sometimes helps lessen the sting of sweeping up yet another roll of toilet paper, totally torn to shreds by the tiny beast we live with. I theorize that Koshka gets bored while we're sleeping, since we haven't figured out how to constantly stroke and praise her while we're unconscious. My boyfriend is usually too busy sweeping up the mess to care to speculate. Finally, we asked the experts. 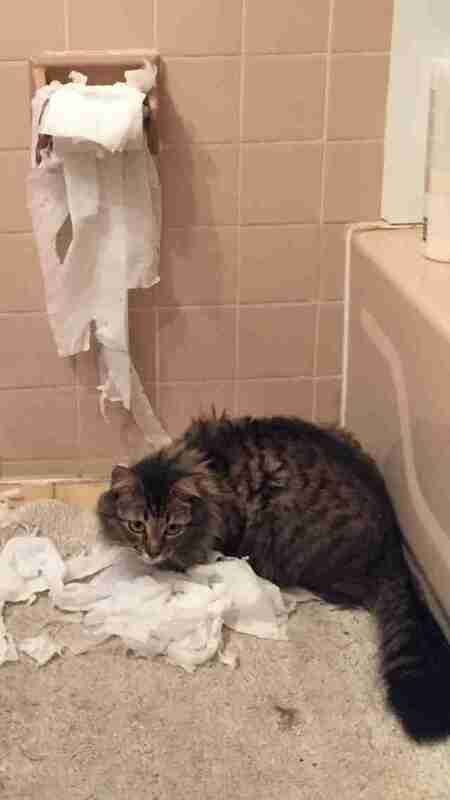 "Cats like digging their claws into toilet paper and paper towels as these objects function as an inferior scratching post," the experts of the Companion Animals department at the Humane Society of the United States (HSUS) told The Dodo. 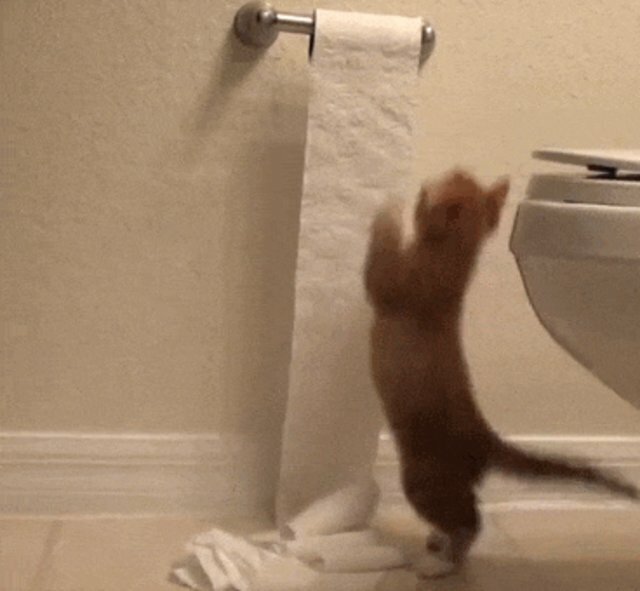 "The unraveling of the toilet paper may happen by chance as the cat digs into the paper or the cat may enjoy the movement of the paper, which is stimulating to him or her." In any case, it's totally annoying. 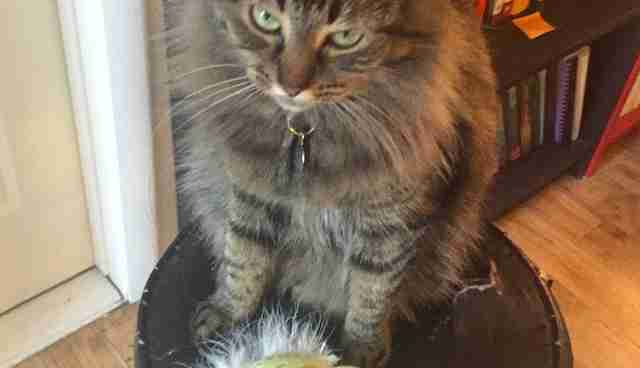 "The cat either needs a more suitable scratching post (one that is at least 32" tall, sturdy and made of sisal) and/or needs more proactive stimulation in the form of daily interactive play sessions," HSUS advised. It's true that since we've instituted nightly play sessions with the laser pointer or toys (little Yoda is her favorite), Koshka's largely kicked the habit ... for now. Plus, we do have a fantastically huge scratching post she loves already - we call it our "couch." 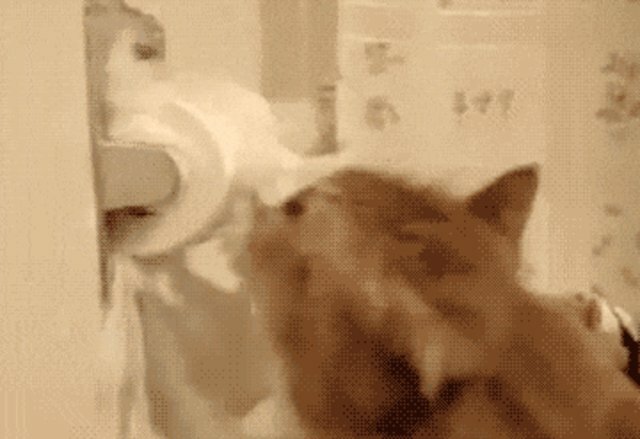 Does your cat have more of a taste for human flesh than toilet paper? 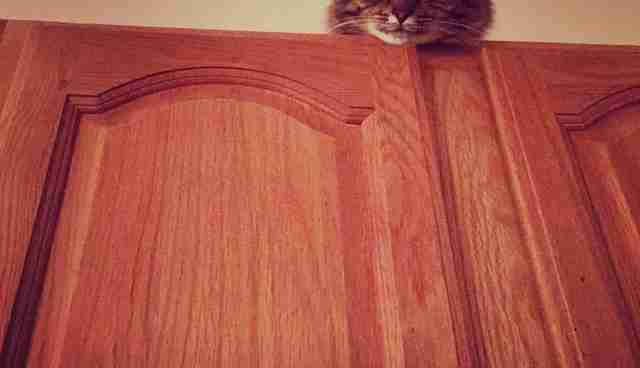 Read about why your cat seems like she's trying to kill you - and how to prevent these violent outbursts - here.